Tell me if it strikes a chord with you. Do you feel anxious or violated about your neighbor’s security camera pointed at your house? Or wonder if your neighbor can record you on your property? With the popularity of residence security cameras, the disputes between camera owners and their neighbors have also arisen over privacy issues. So, can your neighbor’s security camera record your yard or property legally? What are the privacy laws concerning neighbor’s security camera aimed at your house? Or if you plan to install a security camera around your house, can you point your security camera at your neighbor’s house? By the time you’re done reading this post, you’ll have all the answers to the above questions. Essentially, the legality of your neighbor’s security camera overlooking your property depends on what the camera is used for, what acts it is capturing and what your neighbor is doing with the video footage. 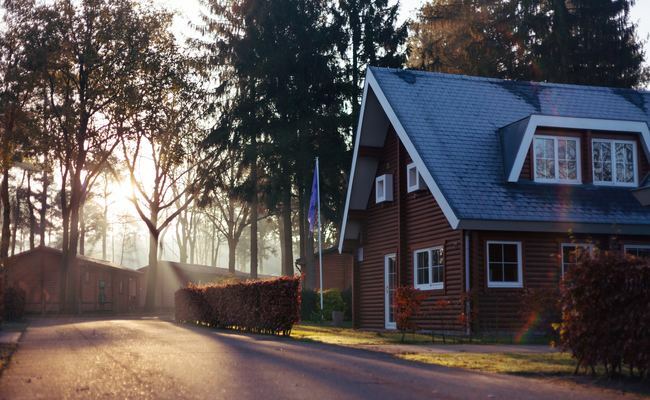 As the property owners, your neighbors are entitled to install security cameras in and around their house to stop burglars from tatgerting their home. And you have the right to do so as well. So if your neighbor places an IP camera for security purpose and it happens to capture your front door, driveway or yard which are invisible from public areas, you can’t press charges against your neighbor as you have no expectation of privacy outdoors. Though video surveillance of your neighbor’s security camera in public areas is allowed without warning or consent, audio recording generally requires consent from at least one side in most states. How your neighbor deals with the footage of his security camera pointed at your house, is another factor your need to consider. As long as the recorded videos don’t infringe on your privacy and are for lawful purpose only (like monitoring suspects or prevent package thefts at the front door), it is legal for your neighbor to point a security camera at your property in plain view. In this video below, a car accident was captured by the Reolink security camera RLC-410 pointed at the driveway. If there was a “dispute” between the victims, this video would help the police and insurance company to draw the conclusions. There are also exceptions in which your neighbor can’t install security cameras aimed at your house. Though your neighbor can record you on your property in plain sight, things are different for the places where you have a reasonable expectation of privacy, such as your bathroom, bedroom, restrooms, locker rooms, changing/dressing rooms, etc. According to the residence security camera laws, your neighbor might invite legal trouble in if he points security cameras at areas where you couldn’t view without physically entering the premises. Installation or use of any device for photographing, observing or overhearing events, or sounds, in a private place without permission of the people photographed or observed is against the law. Worse yet, the perverted neighbors may point security cameras at your children’s bedrooms to be a high-tech peeping Tom. And some even post the video footage recording your activities on the social media. Such wrongful application of home security cameras, without any doubt, is illegal and you can ask for the interference of law enforcement and claim harassment. Feel uncomfortable and nerve-wrecking about your neighbor’s security camera pointed at your house/property? Instead of using illegal ways to the jam the surveillance, which would only make the matter become worse, below are some practical tips you can adopt after you find your neighbor recording you on your property. The first golden rule is to talk with your neighbor, in a good manner. Tell him/her how you feel about the security camera aimed at your house (they may be unaware of the fact) and ask with politeness if it is possible to adjust the viewing angle of the camera. Another feasible way to block your neighbor’s security cameras overlooking your property is to plant grown trees or fences as buffers, so as to blind the camera’s field of view. In case that your neighbor’s security camera pointed at your house has invaded your privacy and your talk also ends up in failure, the best solution, would be contacting the local police and contacting your attorney to file a lawsuit. Editor’s Tip: Check out more useful tips about how to block your neighbor’s security cameras. You should have got the answer after reading the above parts. But to avoid possible disputes caused by your use of security cameras, here are some helpful tips you’d better keep in mind before installing your camera. Stand in your neighbors’ shoes and avoid pointing your security cameras at places where they have expectation of privacy. Inform your neighbor of your use of security cameras and explain to them about your purpose to avoid misunderstandings. Make sure the surveillance camera is installed properly. 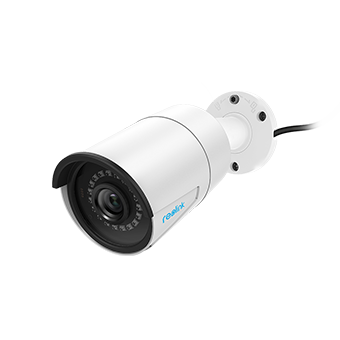 Ensure the footage of your security cameras is for security purpose only and protect the videos from falling into the wrong hands. Whether you have a neighbors’ security camera pointed at your house in UK, Ireland, Scotland, California, Florida, Michigan or other places, the above information also applies for your situation. And if you need any further help about your neighbor’s security cameras pointed at your house, please feel free to leave your comment below and we’d love to help. ①Quora: My neighbor has a security camera pointed directly at my front door. Is this legal or do I have the right to be annoyed? ②Reddit: Neighbors installed a security camera pointing into my garage. Anyone knows the laws around this? ③Daycare: Neighbors have surveillance camera pointed in my back yard, what should I do? ④Free advice: Neighbor has a security camera pointing at my daughter’s window. Is this legal? ⑤City-Data Forum: My neighbor’s security camera overlooking my property records everything of my backyard activities and I feel like I have no privacy at all. Any tips? This entry was posted in Home Security FAQs and tagged laws, neighbor's security cameras, privacy. Hi, Jennifer, if your backyard is not visible from public areas, it can be a violation of your privacy for your neighbor to point security cameras at your property. You may communicate with your neighbor first in a friendly manner and ask him/her to reposition the webcam. If the talk ends up in failure, seek help from the local police or your attorney to resolve the issue. Hope this helps. Hey I wanna ċhαt with you? I move into housing from hurricane 1st time. violence is all i seen. 3 even put a knife gun to my nine year old. i told 2 neighbors i had one which watch her as she plays. which. but it capture some unusual thnging knows . hos so i went and got a nite vision one to prove how they violence us. everywhere we go in apt she follows she knows which room it all. they call cps on me and she believes them which all 4 is cousins then 3 more in other buildingpp the manager is family. i went to housing told them i want to move asap they said apt be ready after christmas they bust my windows came in house and tamper with alarm through wifi housing said let her get with security. what to look for. Hi, there, did your security camera capture any videos that can serve as the evidence? If yes, you can hand in the footage to the local police and seek for their help. We have a neighbor with a video camera pointed into our home where I sleep. They tell the police it is to monitor their boundary line and the police believe them. They threatened to go to my church and slander me falsely. I don’t even speak with them. The camera is not pointed at their boundary but monitors our coming and going. We realized they can see us inside our home. What can I do? Hi, Michelle, you may hang curtains in your bedroom so that your neighbor won’t spy on you successfully. And if your neighbor still continues doing so, it is best to seek help from the local attorneys to protect your privacy. Hope this helps. Put a camera up pointing at them and let them know. see how that works..usually bullies dont like being confronted..
Hello Michelle, under most situations, pointing security cameras at neighbors’ houses will bring about privacy issues. It is best to negotiate with the neighbor and get their permission before setting up a security camera. In this case, it is also suggested that the household seeks help from police and the local attorney. Hope this helps. Oh good grief here we go with PC Perfect .. I’m Offended. I live in illinois and my neighbor has a camera pointed at my tenants daughters bedroom. There is about 15 feet apart. Hi, Joshua, if the doorways of the other tenants are in plain sight and you cannot view inside their apartments, it is legal for you to install security cameras to monitor your apartment complex. Hope this clarifies. My sloped back yard borders the side of my neighbor’s house. I have a 6 ft. privacy fence, and have adjusted my eave-mount security cameras to get a full view of my back yard. My cameras capture some movement in both the front and back yard of my neighbor’s house near my fence – usually just their heads. Is this acceptable in Florida or do I need to reposition my cameras so it only captures movement within my fence line, thus limiting the cameras’ full view of my yard? Why wouldn’t you do that anyway? Why have it capture anything on their property? If I tilt the camera angle up, I get a wider view of my property but also a small part of neighbor’s yard. 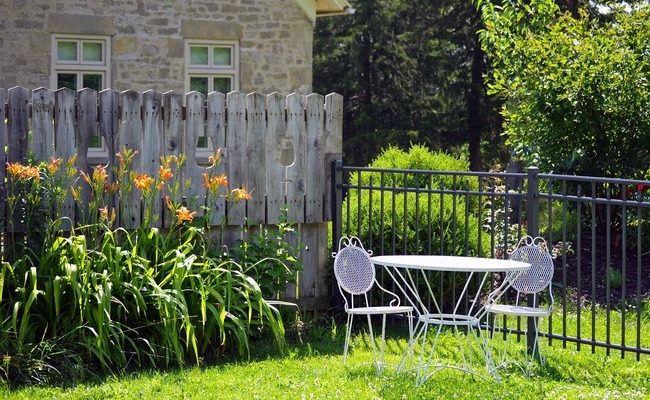 If I keep angle only at fence level, I get a smaller view of my yard that would necessitate more cameras for coverage. I have a shallow yet wide backyard.